The goal of TIMSS is to provide comparative information about educational achievement across countries to improve teaching and learning in mathematics and science. It is designed, broadly, to align with the mathematics and science curricula in the participating education systems and countries, and focuses on assessment at Year 4 and Year 8. It also provides comparative perspectives on trends in achievement in the context of different education systems, school organisational approaches and instructional practices; and to enable this, TIMSS collects a rich array of background data from students, schools and teachers, and also collects data about the education systems themselves. 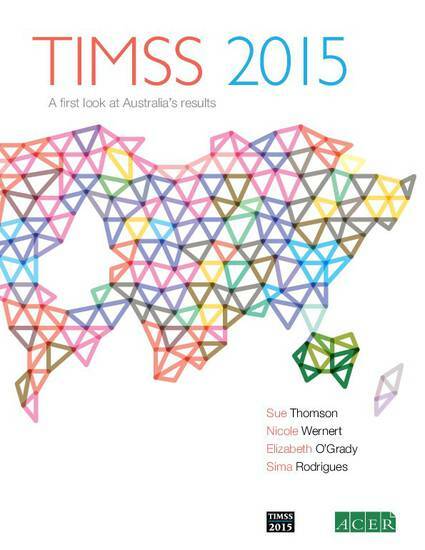 This report is a first look at the results from TIMSS 2015. Focusing on the achievement results in mathematics and science at Year 4 and Year 8, this report will be followed early in 2017 by the full Australian National Report, which will examine achievement more fully and incorporate descriptive and analytical findings using the background and demographic data.